The SRH side will walk into the match as favourites, but they would be mindful of not taking Delhi lightly. 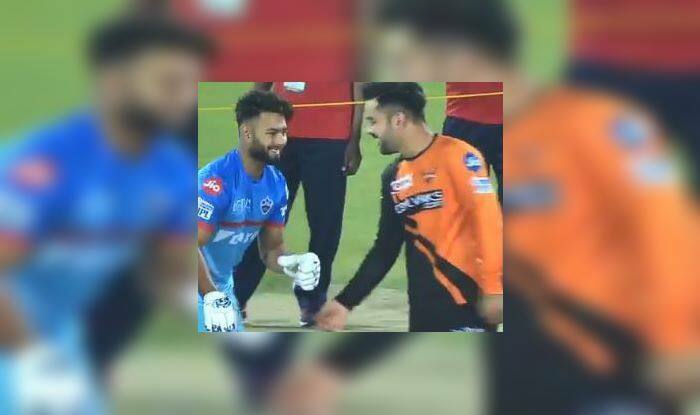 IPL 2019: Rishabh Pant, Rashid Khan are two of the biggest stars, not only for their national team but also their IPL franchises. The camaraderie between the two cricketers was on display at the Kotla ground ahead of the Delhi vs Hyderabad clash. It is an important game for both the sides and both the cricketers are an integral part of it. They were spotted in a jovial mood ahead of the match, where Rashid seemed to be pulling Rishabh’s leg. This is a great sight for their fans who are ever-increasing. Meanwhile, it would be an interesting clash for Shikhar Dhawan, who would be playing against his former team. Meanwhile, riding on centuries from David Warner and Jonny Bairstow, SRH put on 231/2 from their 20 overs before bundling out RCB for just 113. The 118-run win will definitely fire-up the team when they walk into the game at the Feroze Shah Kotla on Thursday. The SRH side will walk into the match as favourites, but they would be mindful of not taking Delhi lightly.